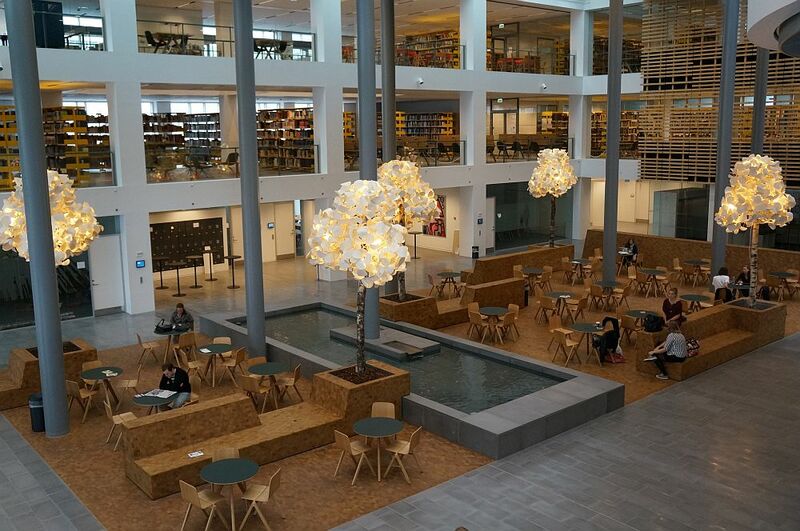 Interiors of the Amager Campus at the University of Copenhagen have undergone a revamp. In an attempt to add more life and personality to the huge indoor space, Danish designers from Hou+Partnere Arkitekter considered beautifying it with live trees. 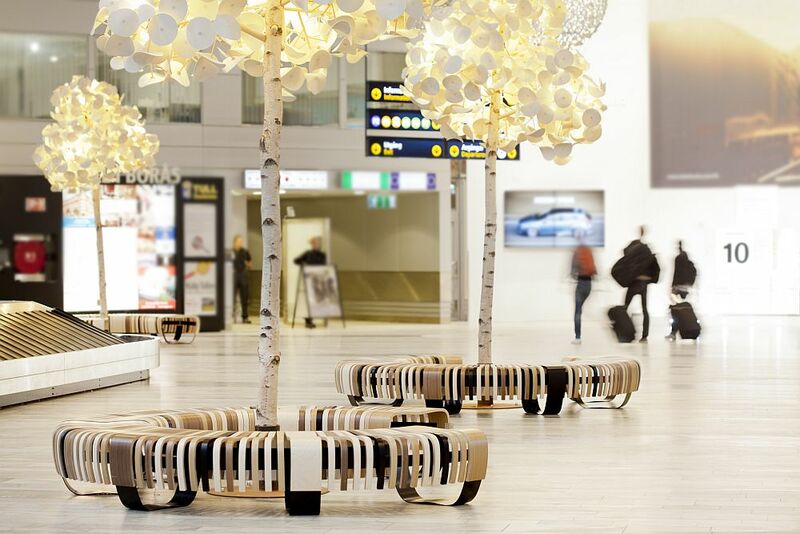 And while this sounds as appealing as it can get, the initial plans were changed when they saw the Leaf Lamp Trees put together by the creative minds from Green Furniture Sweden. 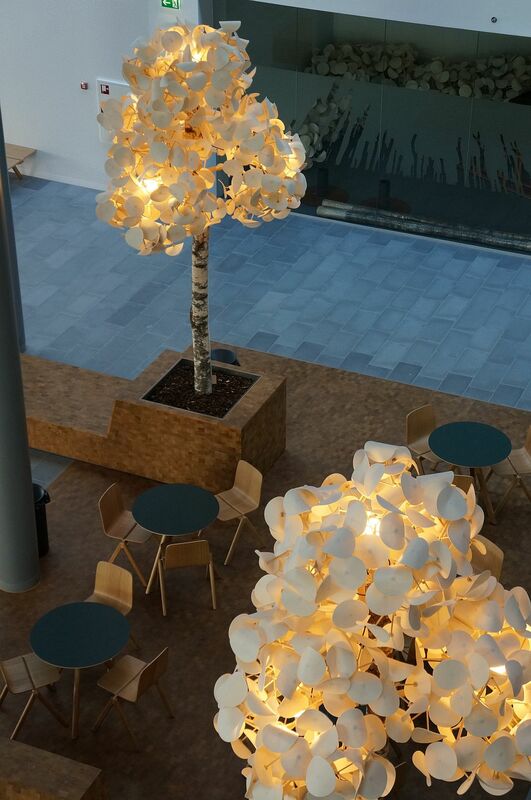 Peter Schumacher, the designer of the Leaf Lamp, is a man of many talents. 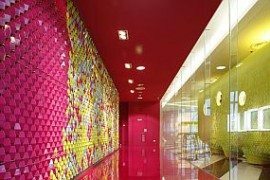 He studied Architecture at the University of Adelaide and Industrial Design at the University of South Australia. He loves to design and build furniture exploring materials, processes and construction techniques. His Leaf Lamp features magnificent foliage that instantly catches the eye. 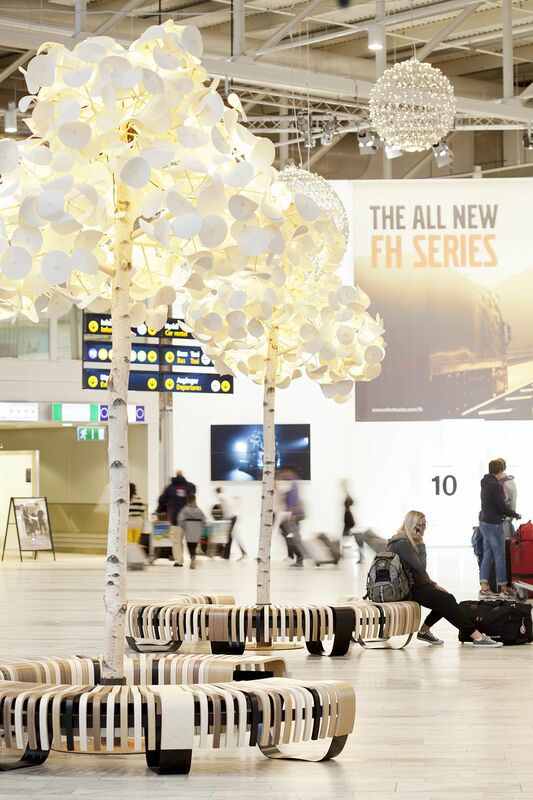 The tree trunk and the branches are made from Swedish massive birch, while the leaves are constructed from unbleached wool felt. 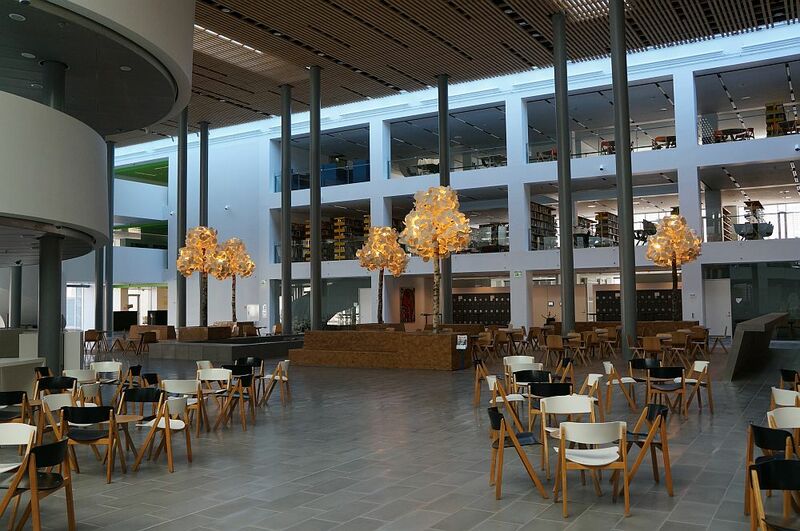 To learn more about the intriguing design and stunning decor at the Danish University, we sat down with one of the Swedish founders, Johan Berhin — a fine gentleman who I personally met at this year’s Furniture Fair in Stockholm. 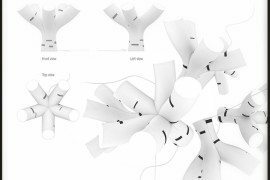 He was kind enough to give us more info about the Leaf Lamp Trees and how the project went on. Here’s a short interview. Enjoy! Johan, the Leaf Lamp trees are amazing. I must admit that I was fooled at first; I thought they were real. How did you come up with the whole design concept? Massive birch looks stunning, but is there any particular reason why you decided to use it for this project? We try to use as much local wood as possible. 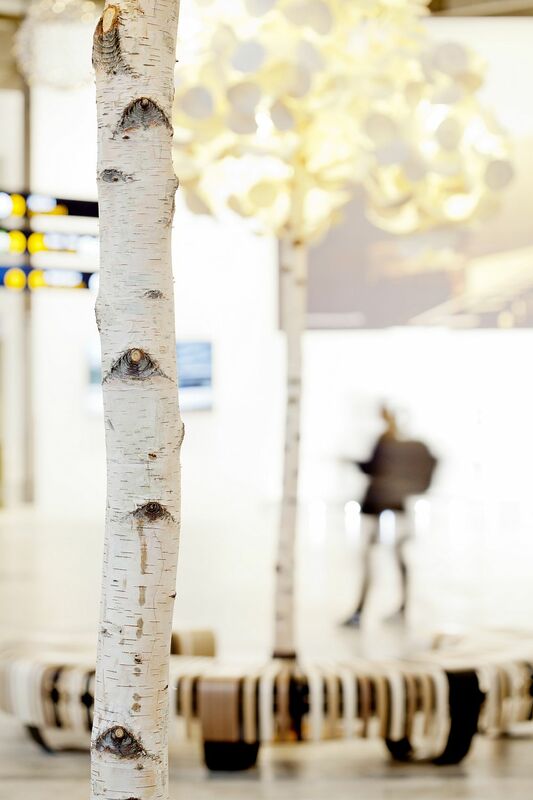 In Sweden birch is a natural choice with a light Scandinavian touch. But we agree that for other markets, the trunks may be made of other wood types. Have you thought about how the trees will look in 5-10 years? I don’t think much will change except that in some locations there may be a heart or two carved into the trunks, like people do in the park. Another thing that intrigues me is the sound-absorbing feature. Can you tell us a bit more how the “leaves” help increase the speakability of the room? In terms of volume, the trees are quite large as they have a lot of leaves, all facing their own direction. The leaves are made of wool felt, which is very good at absorbing (A-classed) and diffusing sound efficiently. Because of these, the “speakability” of the room is much improved and sitting under the trees makes for a calming experience. Cleaning could be a problem! You say that high-pressure air gets the job done. But it releases dust and other things into air, don’t you think? And on top of this, aren’t those leaves a bit … fragile? Trees have the advantage that they sway their leaves easily, thus you do not need much pressure to make the dust fall off. Pressure air may sound like a brute method but it is very efficiently done from the ground below the tree. This means that a tree is dusted in minutes. 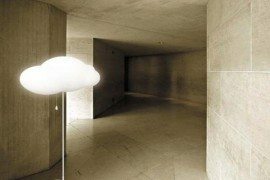 For home use, the smaller original Leaf Lamps and the Leaf Lamp Pendants fit better, as they are dusted by a conventional duster through the foliage. 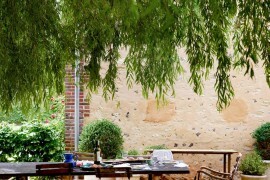 So you say the Leaf Lamp trees have more of a commercial destination rather than being part of a private home? 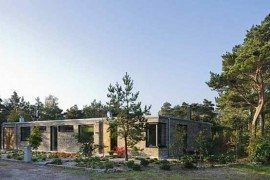 Not many private homes have room for a 5 meter tree, so yes, they are intended for public indoor landscapes like large lobbies, gallerias and airports. Johan, congratulations to you, Peter and the guys at Hou+Partnere Arkitekter for the beautiful installation. And kudos to the University for working with such talented people.